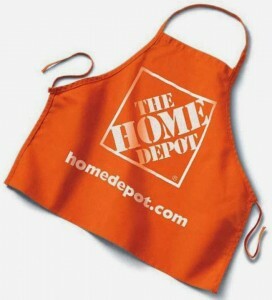 Home Depot frequently offers rebates on everything from paint and thermostats to kitchen appliances. Before you go shopping for home improvement items, it’s a good idea to compare prices among retailers then visit the Home Depot Rebate Center to see if there are any rebates available that can potentially save you even more money. Home Depot makes it easier than most retailers to redeem and even track your rebates through their online Rebate Center. By taking advantage of available rebates, you may find it easier to fit a new appliance or home improvement project into your monthly budget. Here’s what you should know about finding and redeeming rebates through Home Depot. The first step to finding and redeeming rebates is visiting the Home Depot Rebate Center online. You can choose Nest thermostat or paint rebates or use the search feature to find other rebates currently available. Home Depot almost always offers rebates on in-store paint purchases. You can find rebates on paint brands like Behr, Glidden, RL Paint, Sikken, Flood, Cabot, and Rust-oleum Restore. You can also search for rebates by brand or by product, such as dishwashers, microwaves, and irrigation systems. You will need to enter your zip code to make sure the rebate is available in your area. After searching for rebates, you will see an image with the item name, model number, and available rebates. After you click “more details,” you will see the program that offers the rebate, the valid date range for purchases, when the claim must be submitted, and any other important details like a household limit or whether you must be a customer of a certain utility company. Some items have more than one rebate available and it is possible to combine rebates, when allowed. For example, the Cadet 3 Powerwash toilet currently has three rebates available in California. You can get up to $100 back from the California Department of Water Resources Toilet Rebate Program. You will need to include a copy of your utility bill and replace a toilet that uses more than 1.6 gallons per flush. Other programs offering rebates on the toilet include the California Water Service Company in the Bear Gulch District and BAWSCA in Menlo Park, California. Home Depot offers a completely paperless rebate system which means you won’t need to fill out a postcard and mail in your receipt. You can search for your rebate and complete the process completely online to save time and the cost of postage. Note that Home Depot only allows one receipt per rebate submission. If you have multiple rebate items on a single receipt, you can include all the rebates on the same submission. If your purchases are spread over more than one receipt, you will need to create a separate rebate submission for each receipt. If your rebate includes a tracking number, you can track your rebate through the Rebate Center. Just click on “Track Your Rebate” then enter your tracking number. You can also search for your rebate with your name and zip code. If your rebate submission does not show up, try searching again later in the week. When your rebate is approved, Home Depot will send you a prepaid Mastercard with your rebate balance. Once your prepaid Mastercard is issued, you can always check the balance through the Rebate Center. Enter your card number to set up an online account or log in to your account to check your balance. Your prepaid Mastercard can be used anywhere Mastercard is accepted. You can even use the rebates you get to save money on gifts this holiday season! This rebate card is difficult to use. Went to the bank to cash it and they said there is no way to do it. If you want to use it at the gas station you must go inside. Just send a check.